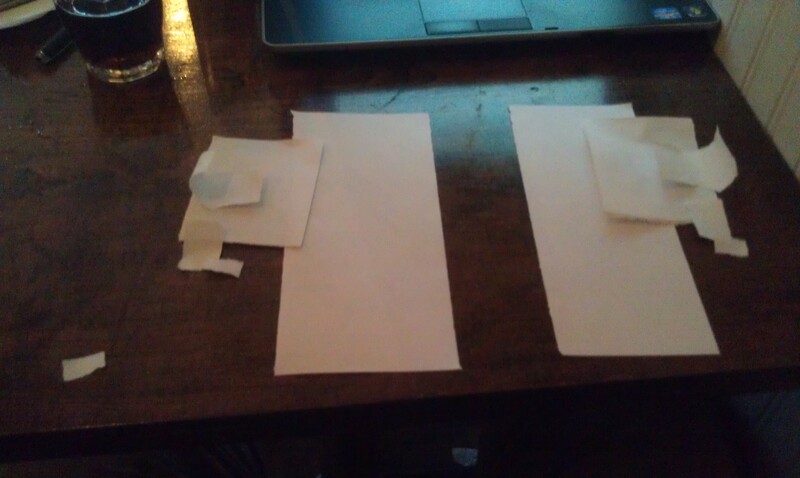 At the start of the lesson, I gave each group one colored piece of paper. (I got this idea last year from my friend Bowen Kerins on Facebook! He is not only a math genius but he’s also a 5 time world pinball player champion. Seriously.) 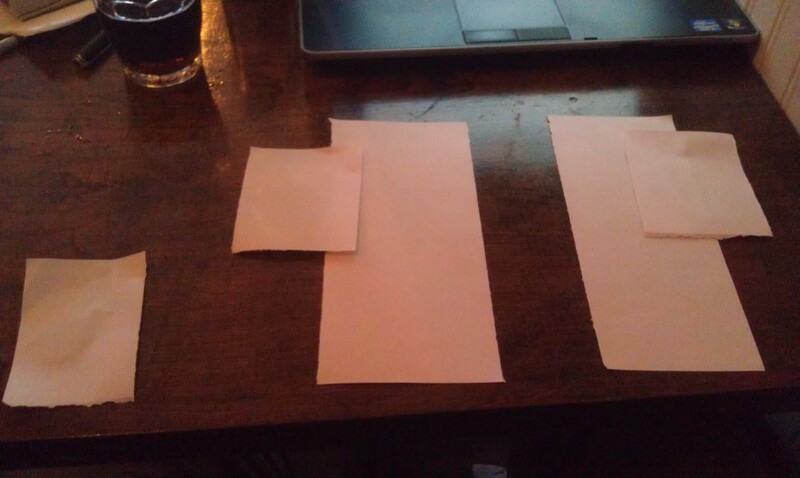 I don’t know why but it was nice to give each group a different color piece of paper. 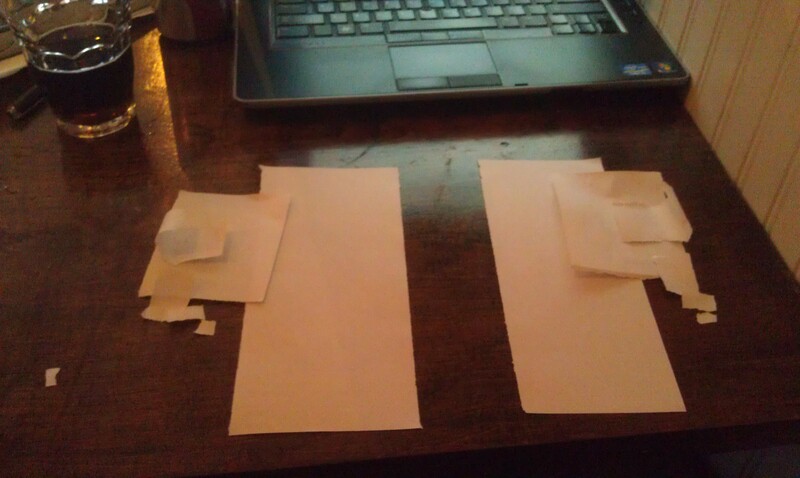 Then I had them designate one person to be the “paper master” and two people to be the friends of the paper master. Any group with a fourth person simply had to have the fourth person be the observer. I did not document this, so I have made photographs to illustrate ex post facto. 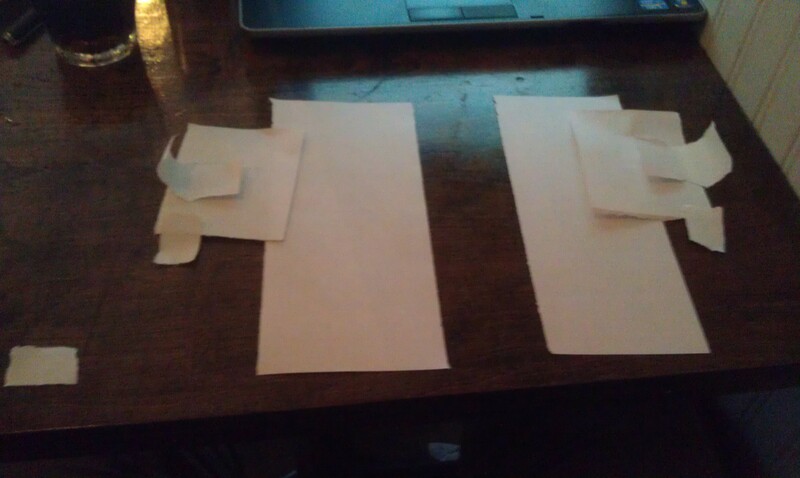 The paper master divided the paper in thirds, tore it, and shared their paper. 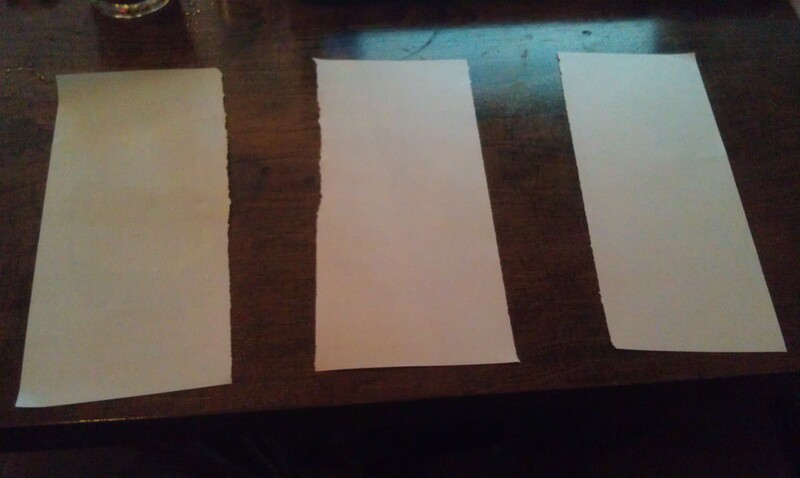 And the paper master took what they had, divided it into thirds, and shared it. Here we stop. 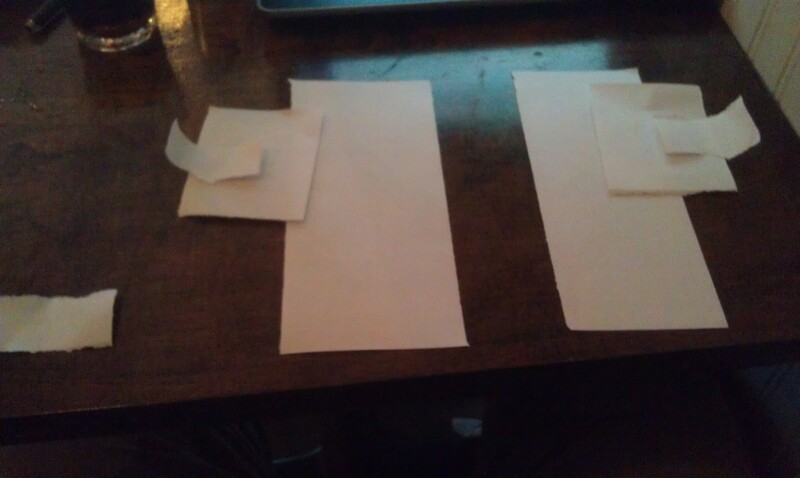 The friends have a lot of slips of paper of varying sizes. 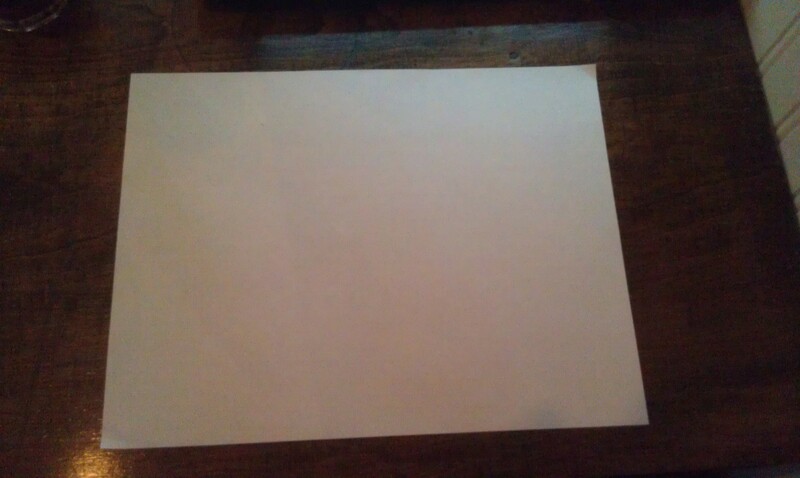 The paper master has a tiny speck. I then go to the board. Freaking genius. I love that you used two friends instead of one. Makes this problem less…textbook?…for lack of a better word. Love this-will use it next semester in precalc. It reminds me of this lovely James Tanton dialogue. Brilliant. I am forwarding this to everyone I know that teaches infinite geometric sequences. Did this a couple years ago with a mixed group (mid-elementary to teen) of homeschoolers, only it wasn’t “paper” it was cake, and Mom was sharing it out. But she was “on a diet”, so she kept deciding to cut up her piece and give each of the kids just a little bit more. Their math skills weren’t up to extending this to a general geometric series, but for the 1/n type of series, it was easy to see that no matter how many people we started with, each child always got 1/(n-1) of the cake as Mom’s piece dwindled to zero. I cannot see any of the images. They are blank spaces and when I click on them I am told that I denied access. Could this be a browser issue? I’m using Safari. Hi mrdardy, I think I know what was wrong, so I fixed what I think the issue was. If you see this and it’s not fixed, please feel free to reprimand me! Looks great now – thanks! So many great ideas for sequences and series next semester. I wish I could just teach them all year long! Just did this today. It was awesome!